With thanks to Kampanart Piyathamrongchai (Known as Meo) from our lab the Centre for Advanced Spatial Analysis, at University College London, we have been able to embed the panoramas from the blog into Google Maps. Meo hacked about with the code to enable quicktime to be pulled off our server and overlaid on top of the standard Google Map interface. It is possible to view three types of map – standard, satellite and hybrid. 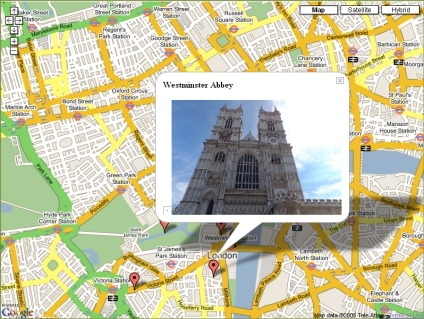 This is great – is it possible to look on a How-to for integrating panoramas into Google Maps? Working “quick & dirty” with a mirror solution like the 360-One from Kaidan it should be a snap to cover locations with panoramas.